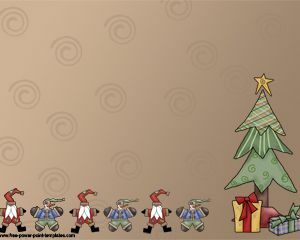 This is a Christmas PowerPoint PPT template with a brown background design with Santa Claus and snowman repeated many times. It also contains a Christmas tree design with gifts ready to being delivered as Christmas presents. This may be suitable for Christmas related presentations.